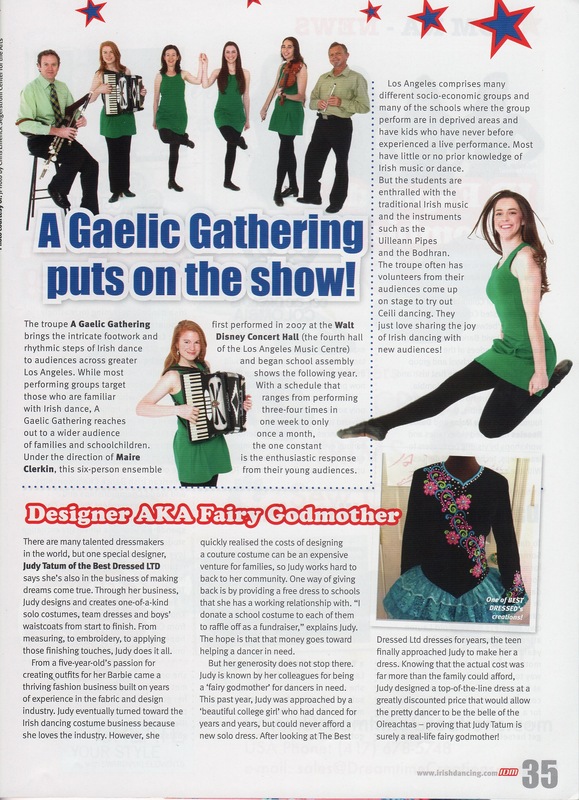 Led by dancer choreographer Máire Clerkin, A Gaelic Gathering was originally created in 2007 for World City, the Music Center’s acclaimed family series at Walt Disney Concert Hall, where it was a smash hit. The six-artist ensemble was developed into a school performance program by funding from the Barbara & Sheldon Pinchuk Fund, with assistance from Barbara Leonard at the Los Angeles Music Center. For students who have never attended a live performance, this riveting assembly can be a transformative experience. Teacher and student feedback has been tremendous. Appealing to all ages, this popular group of dancers and musicians perform lively Reels, Jigs and Hornpipes to excite and educate in equal measure. We now provide performances statewide – schools, corporate functions, concerts, recitals, TV & film. Our ensemble comprises a pool of a dozen artists and we adapt size and length of shows according to requirements. The music and dance is interspersed with a spoken cultural background narrative, explaining the instruments’ origins; describing the dances; the meaning of the songs; the history of figure and stepdancing which link to many other folk traditions. The program includes interactive rhythm games and participatory singing and dancing. It adheres to California Content Arts Standards. Although most of our current bookings are school assemblies, we also perform in libraries, museums, at festivals, concerts, for TV, promotional events and private parties – See our Shows page for upcoming appearances.